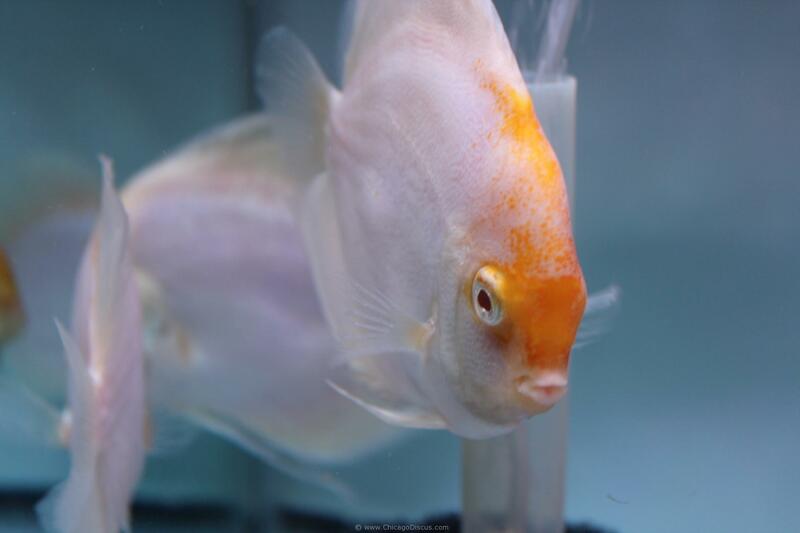 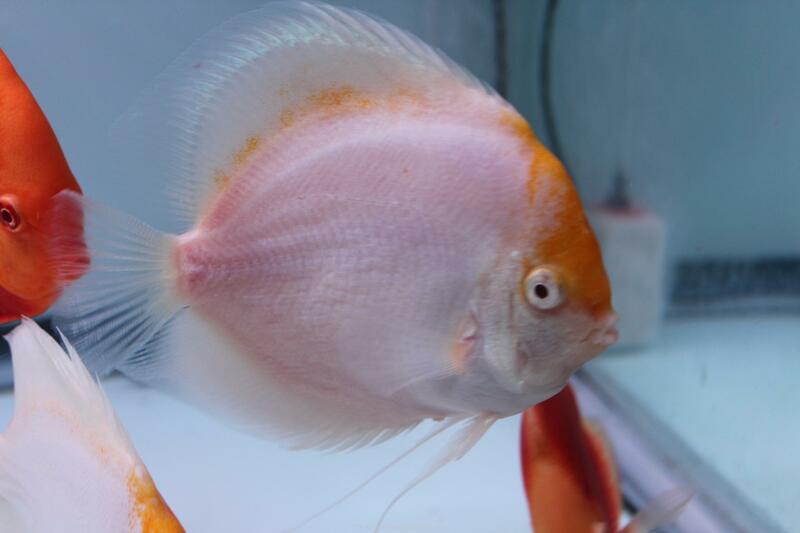 You’ve go to see these Albino Calico discus to believe. 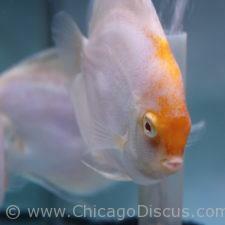 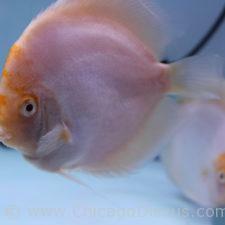 Calico are one of the rarest of the discus, and the Albino Calico is that much more unusual. 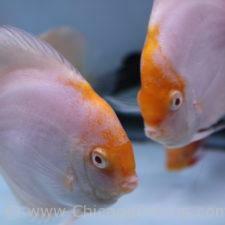 I have searched the internet to find comparable albinos, but cannot find them anywhere. 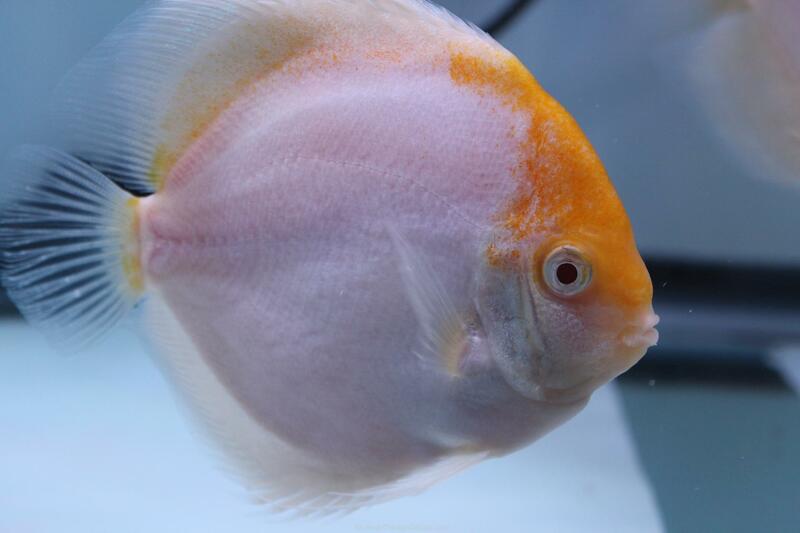 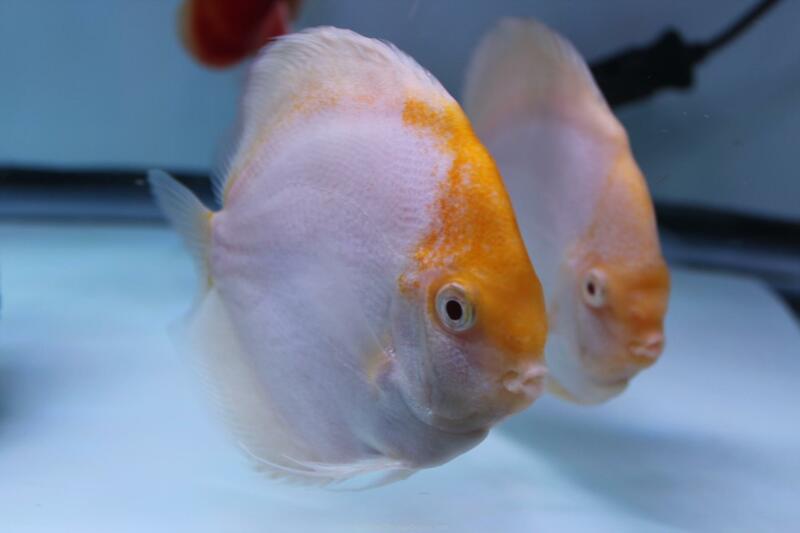 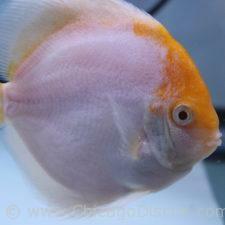 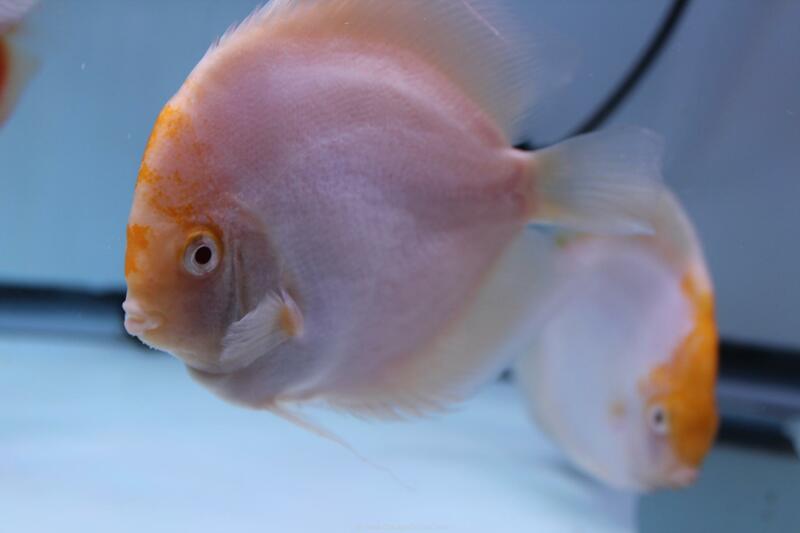 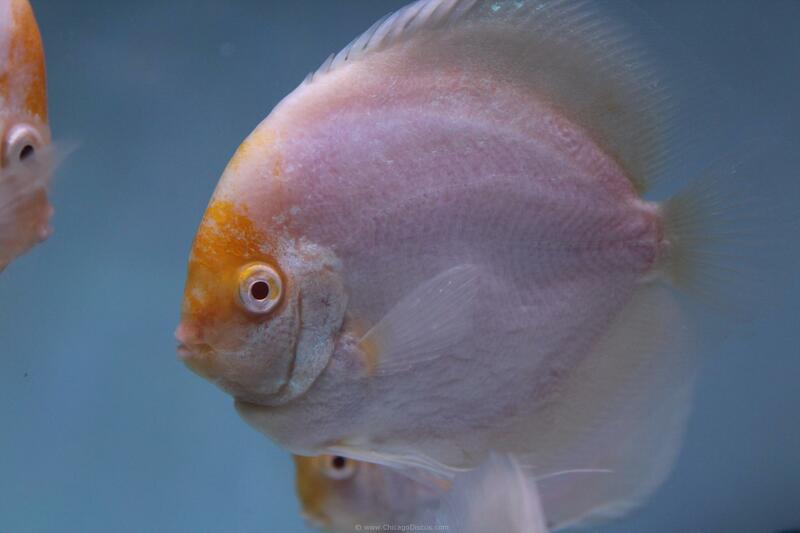 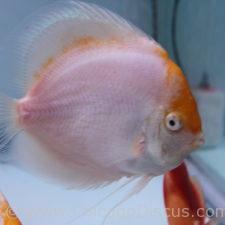 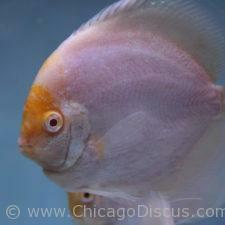 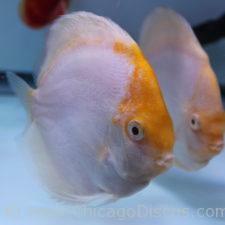 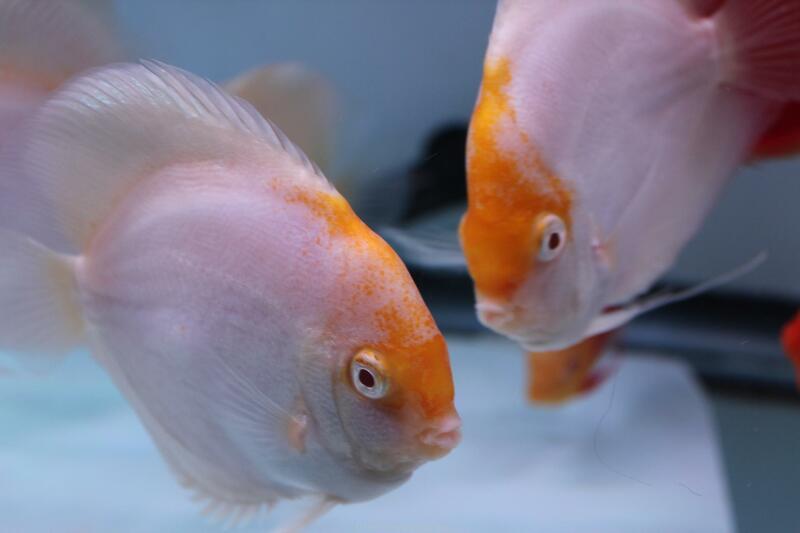 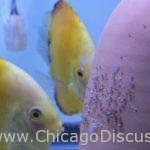 These are very large size discus, which is unusual for an albino in its own right! 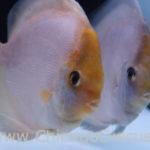 They are the most pristine white, as clean as a new snowfall, with calico patches of pure gold! 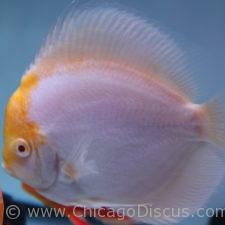 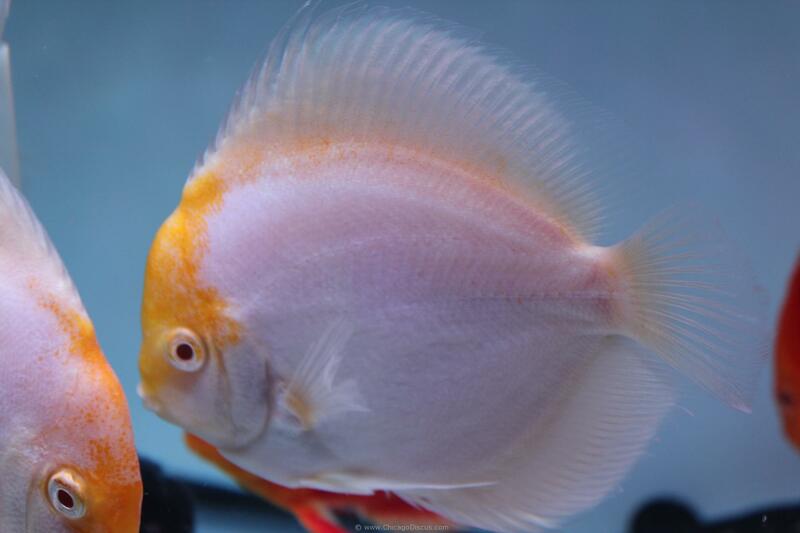 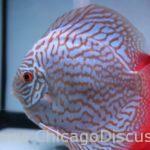 Please look at the pictures to see one of the most elegant discus you have ever seen.